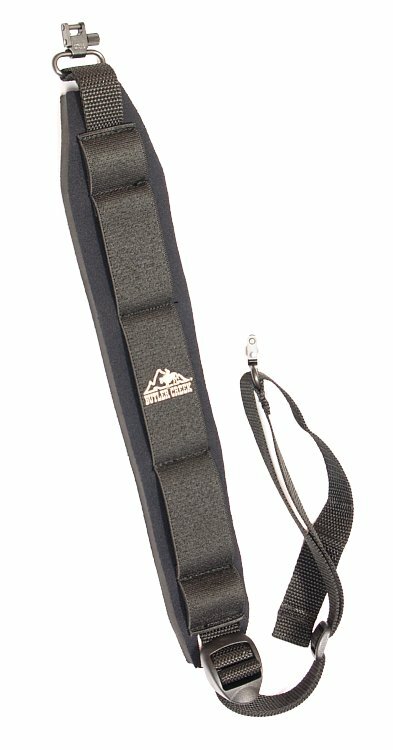 Thick, stretchy foam neoprene padded rifle sling with non-slip grippers and sewn in swivels. 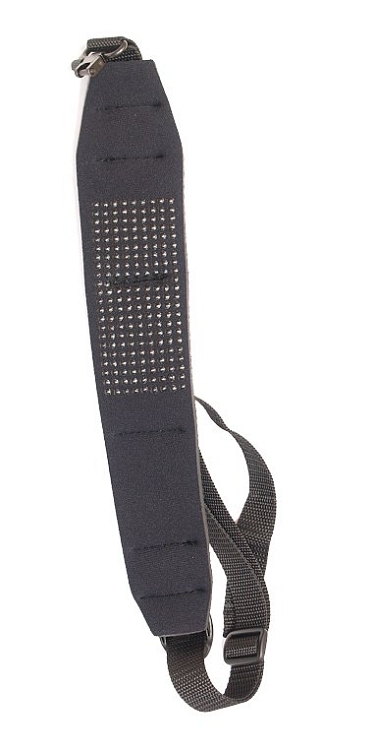 Its stretchable construction and soft padding soak up the bounce you get with traditional slings – reducing felt weight up to 50% – so even the roughest hikes are smooth on your shoulder. Sewn-In Uncle Mike's QD® Swivels.